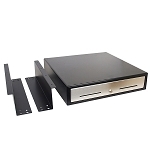 A manually operated cash drawer is the perfect choice for cash handling needs when you decide to use without connecting to a POS system or a receipt printer. 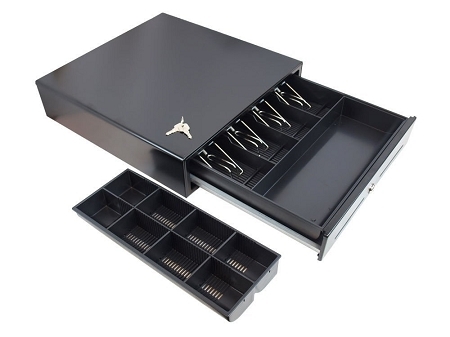 Many businesses also keep manual cash drawers as a spare drawer for shift changes or as a backup for power outages. Push-to-Open Feature: To manually open this cash drawer you only need to push the front panel when the lock is set in the open position! 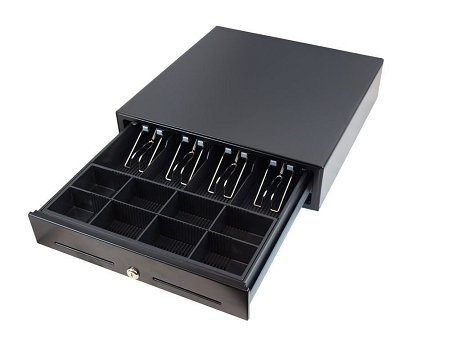 Other uses for this manual cash drawer include: trade shows, fairs, cafeterias, etc. Construction: Thick gauge cold rolled steel & SECC. Lock: 2-position lock (locked open, locked closed).